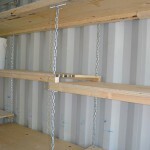 I recently picked up a single use ocean container (aka sea can) for some extra storage and needed to build some shelves. 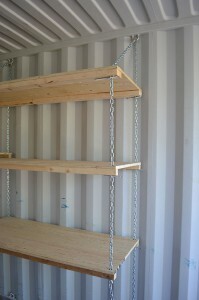 I didn’t find much information on shelving that didn’t require additional frames or welding so I thought I would post the design I used. 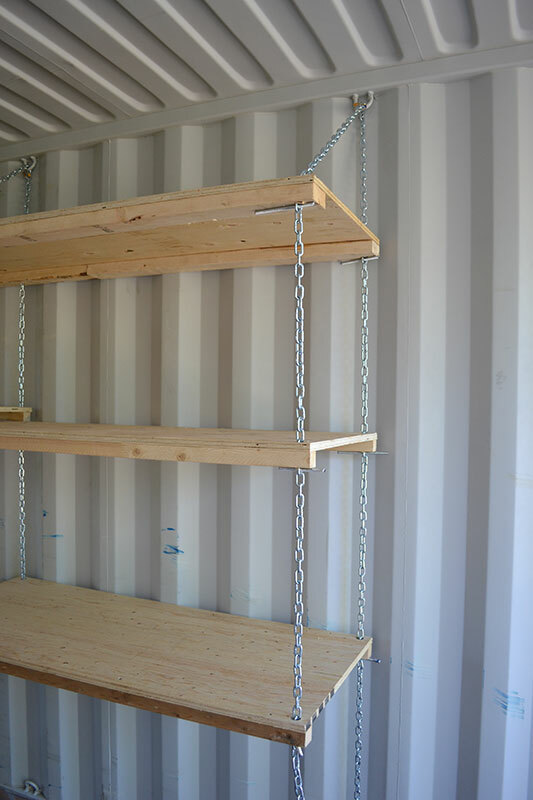 My neighbor across the road, Myles, came up with the design for his own container, so any credit for it goes to him since I just modified what he had already built. 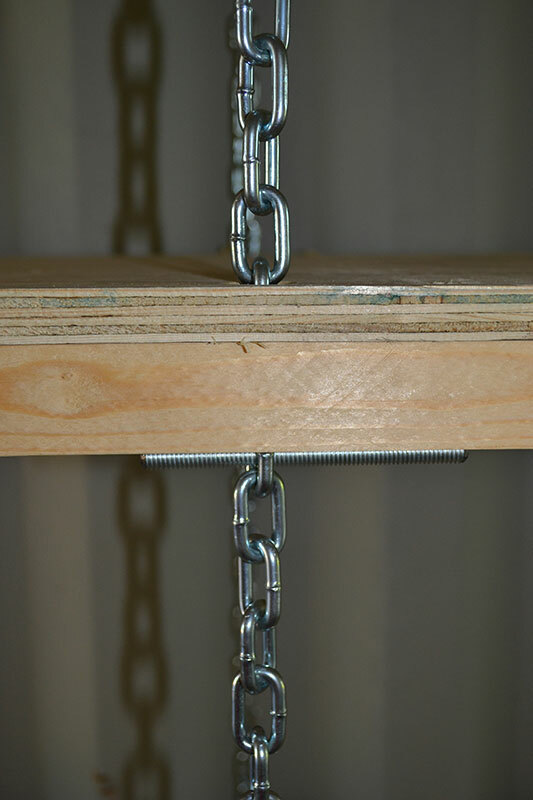 Grade 30 3/16″ galvanized chain to hang the shelves; a 7/8 hole is the corresponding size to drill into the shelves for the chain. 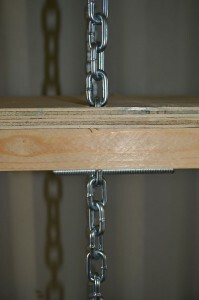 Make sure and drill in a spot to intersect the 2X4 or 2X2. I went 1″ back from the front edges and 1.25″ in from the side edges. 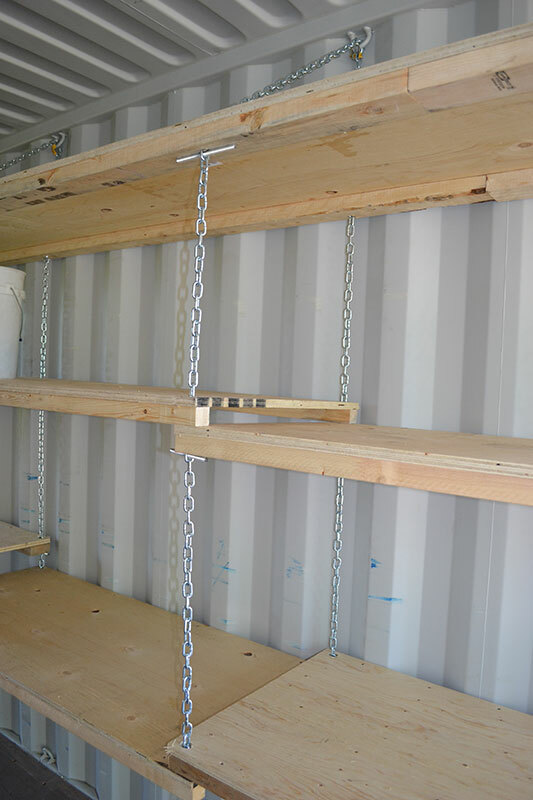 3/4″ plywood with a 2X4 running along the back and 2X2 along the front for the actual shelves (thinner plywood or a 1X4 could be used as well but will reduce the load capacity). 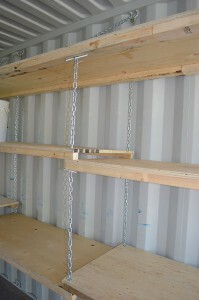 You can build one long shelf that spans multiple chains or individual shelves that can be adjusted independently. 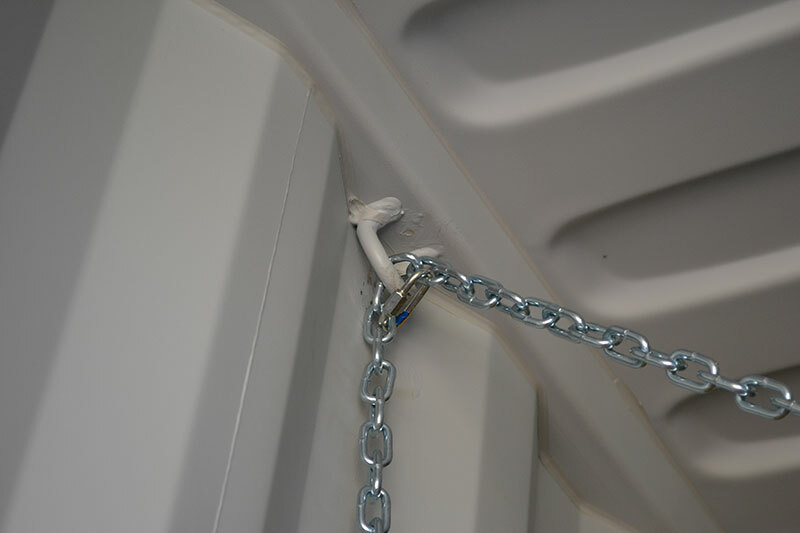 3/16″ links to stabilize the chain at the top hook. I also put a link at the bottom of the first chain on each side to prevent side to side movement.